Delegation of patient care is a constant requirement when caring for patients. Doing so within the parameters of the “Five Rights of Delegation” is essential, as a nurse in Michigan learned the hard way. In Varughese v. William Beaumont Hospital 1, a 59 year old Indian nurse on a TB isolation unit needed to administer medications to a particular patient who was being transferred from the unit to another hospital department for a diagnostic procedure. When the nurse reached the patient’s room, the patient transporter was waiting for her. She realized she did not have an isolation mask required to enter the patient’s room. Instead of going to get the mask, she asked the patient transporter, who was not a doctor, nurse or UAP but who was wearing a mask, to take the medications into the patient and give them to the patient. The patient transporter did not want to carry out the nurse’s request, but at her insistence and with her assurance that it would be OK because she would be watching him do so on a video monitor, he did administer the medications.2 The transporter later reported the incident to his supervisor. 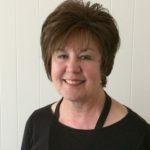 The nurse then filed an age and national origin discrimination suit against the hospital under Title VII, The Age Discrimination in Employment Act (ADEA) and Michigan antidiscrimination laws due to her termination. The hospital filed a summary judgment motion, stating that the undisputed facts showed no discrimination or retaliation, and that the firing was justified by hospital policy. After a hearing was held on that motion, the federal district court granted the hospital’s motion, holding that it was entitled to the judgment as a matter of law. No discrimination or retaliation occurred. The court dismissed the nurse’s case. This case illustrates the extreme importance of never letting a “short cut” result in a breach of your professional responsibilities as a licensed nurse. As a nurse licensee, you are always accountable and responsible for your actions. Delegation is an essential part of nursing practice and must be done in accordance with hospital policy, the state nurse practice act and rules, and the meticulous exercise of professional judgment. 1. 2014 Westlaw 3361897 (E.D. Michigan, July 8, 2014). 2. 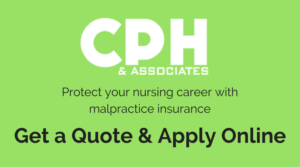 “Improper Delegation of Nursing Responsibility: Discrimination Lawsuit Dismissed”( August 2014), 22(8) Legal Eagle Eye Newsletter For The Nursing Profession , 1. 3. Varughese v. William Beaumont Hospital, supra note 1, 2-4. 6. Id., at 4-5; Michigan Board of Nursing General Rules, “Delegation”, Rule 338.10104(1)(a)-(e), (2).